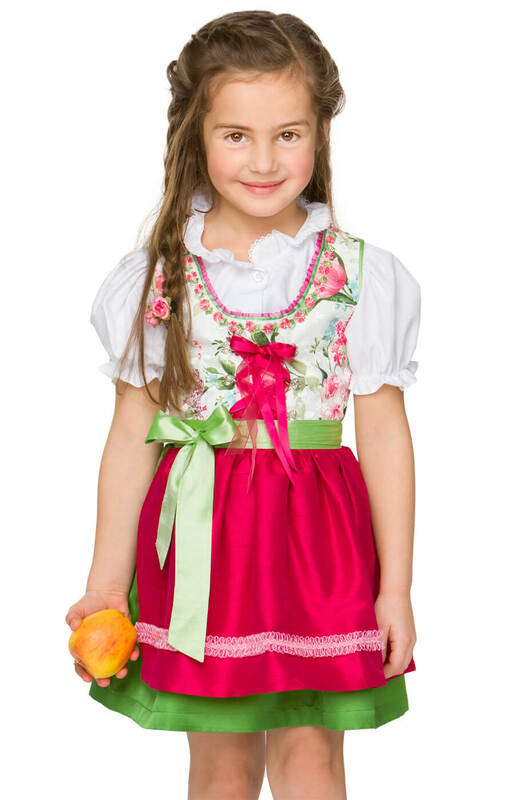 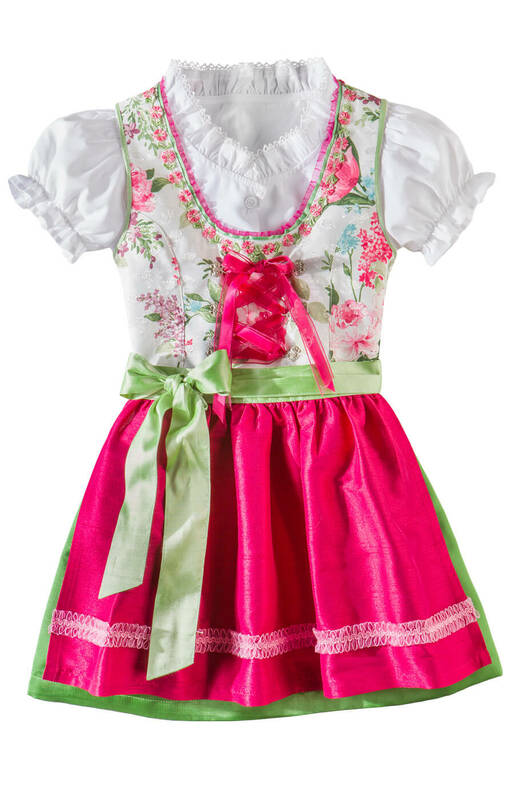 Children's Dirndl Eleni in Pink. 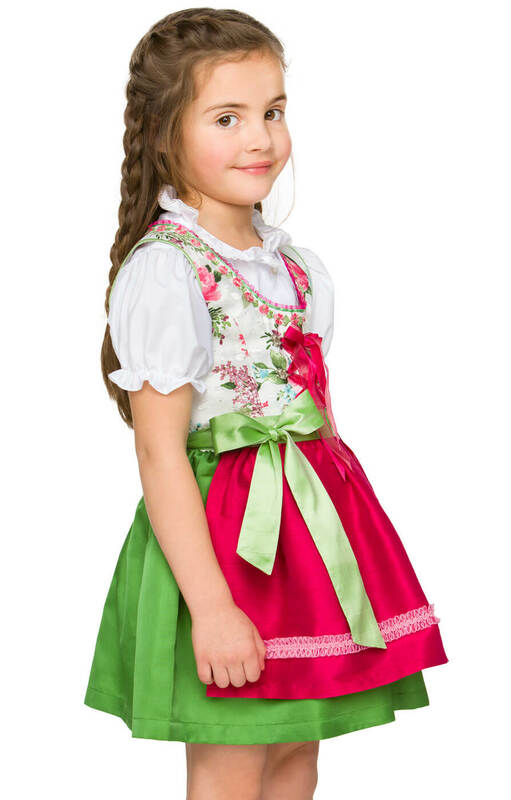 This gorgeous Children's Dirndl has been lovingly made with a bright green skirt that shimmers in the light. 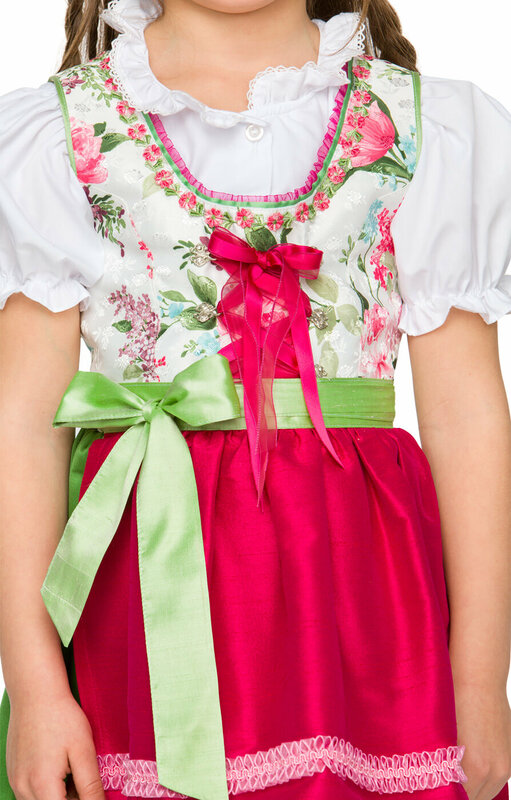 The pink apron has a ruffled ribbon design along the bottom and a green waistband that ties in a bow on the side.